According to what has been reported by Sport Bild, Marco Reus hadn’t completed a move to Bayern Munich from Borussia Mönchengladbach back in 2012, because Bayern stars Philipp Lahm and Bastian Schweinsteiger had considered him having not enough winning gene to play with them. 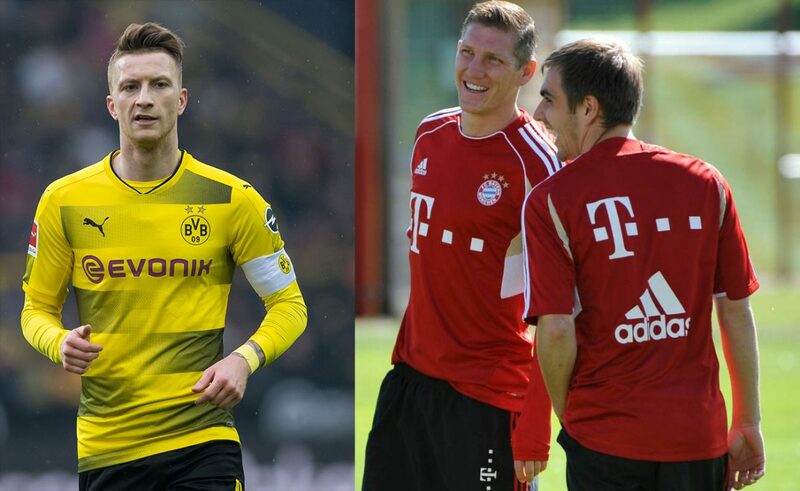 Reus, before completing a move to Borussia Dortmund, had a meeting with Bayern Munich representatives. In December of 2011, former Bundesliga champion’s coach Jupp Heynckes had even invited Reus to his house to discuss the opportunity of the possible move. Despite the desire of both club bosses and head coach to bring 22-year-old midfielder, Bayern Munich leaders Philipp Lahm and Bastian Schweinsteiger were against the transfer. And now, with almost 7 years passed, Reus is without a Bundesliga title. This season Borussia Dortmund hope to take back the title from Bayern, as Reus is giving 100% effort with his massive performances. Currently, Dortmund have 2 point advantage and will visit Allianz Arena this weekend.